I’m a big fan of magnets, they’re just plain cool. 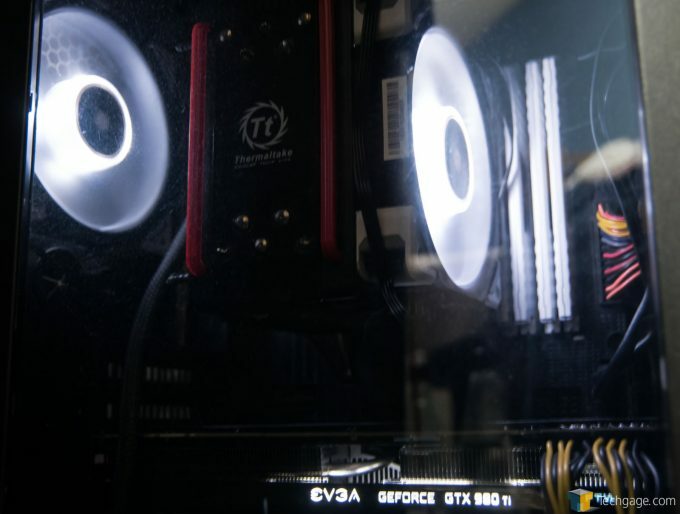 Corsair was attracted to the idea of using magnets in it’s latest fans and created the ML-Series. Sporting magnetic levitation, the ML Series fans are meant to be the last set of fans you’ll ever need. Maintaing both high performance and quiet operation, we take the ML120 and ML140 PRO LED fans for a spin. We generally don’t take a look at fans here at Techgage, mostly because they’re all basically the same after a while, just with different colors, speeds and sizes. Kind of like RAM. Occasionally though, something interesting pops up, and in this case it’s Corsair with its new ML series fans. The feature to have us all excited about? Magnetic Levitation (ML) bearings. Before getting to cool stuff and what makes the ML fans so special, we’ll give you the tour of the fans themselves. 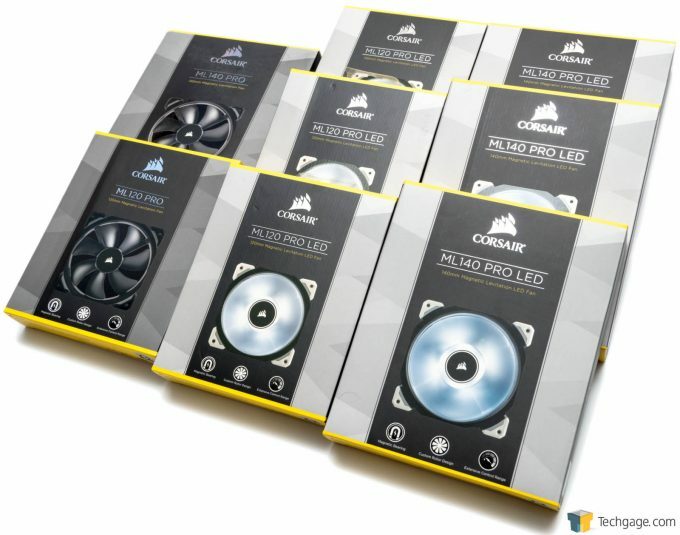 Corsair were kind enough to send over a couple varieties, including both the ML120 and ML140 PRO variants, indicating 120mm and 140mm fans respectively. The ML-series also come in LED versions, available in Blue, Red and White, with the blades made from a frosted translucent plastic, which helps disperse the lighting more evenly. At some point in the future, we may see RGB versions, much like with the SP-series fans. The non-PRO fans, like Corsair’s other fans, don’t include the rubber corner mounts for sound dampening, but you can save some money in the process. With the basic features sorted, it’s now time for the interesting bit; those magnetic bearings. To understand why these bearings are a big deal, we need to explain some of the issues with normal fans. The number one cause of failure for any fan, will be the bearings, and it can be for a couple reasons; heat and friction. Different bearing types can have a huge impact on the life of the fan, and how quiet it can be. Sleeve bearings are the cheapest of the lot and… well, it would require a whole other article to go through the reasons why, but needless to say, they’re not very good. They’re whisper quiet for the first couple months, but soon turn into rattling, slow, lumbering beasts that are more likely to stress test your sanity than cool a system. Ball bearings are the most common, and last quite a long time, though they can start to rattle after a while if not kept clean. Fluid bearings have been around for a while, and are kind of like an enhanced sleeve bearing, but sealed with some kind of lubricant. Fluid bearings remain quiet for a long time and have one of the highest MTBF for fans. This leads us on to Magnetic bearings. These have been, up until now, very rare, and sometimes hard to get a hold of. It probably goes without saying, expensive too. A number of manufacturers have produced them over the years, including Enermax with it’s Marathon fans and Lepa, with it’s B.O.L. hybrid fans (they use a fluid sleeve and magnetics). 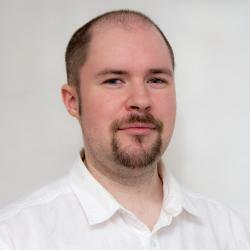 So what’s the fuss about? Well, if you haven’t figured it out already, magnetic bearings basically float on a magnetic cushion to support the central shaft, eliminating friction altogether – at least physically. What needs to be stressed is that, while the bearings might not be touching, there is still friction in the form of magnetic drag and wind resistance from the fan itself. So no, these fans will not spin eternally, but they definitely have less friction involved, and no moving parts to wear out either. The main benefit is that, since there is no friction and no lubricant to dry out, there is both less noise and a longer life. While there is no number officially listed that we can find (we’ll ping Corsair for official stats), the MTBF is around 200,000 hours, which is just a crazy high number. Warranty is 5 years though, which is still impressive for a fan. I attempted to take one of the fans apart, but it seems Corsair has made it a most difficult task (most likely through some internal snap fit that’s inside the rotor assembly). I did end up damaging one of the fans in the process, so I would advise against taking them apart. One thing to consider though, even though there isn’t a physical bearing as such, it doesn’t mean that the fan isn’t affected by dust and hair. It’s still possible for stray hairs and dust to get caught up inside the shaft, slowing it down. I would still recommend dust filters, not just for the fans, but for the rest of the system too. I personally do not have the right equipment to test these fans in great depth, but I can go over the main features and any issues that may arise. The chassis used was a Cooler Master CM 690 III, which includes a variety of mount sizes with which to install the ML PRO LED fans. Additionally, the system is air-cooled throughout, with no radiators. Installation is pretty straight forward, take them out of the box and use the included self-tapping screws to hold them in place. Use the included cable ties too, to keep the cables tidy and out of the way. I should note that the cables are quite long for a fan, which is very helpful when fan headers on motherboards tend to be spread out all over the place. On the ML PRO fans, each corner has a rubber support to absorb vibration, either from the fan itself or from the rest of the system. These rubber mounts dampen the sound somewhat when the fan is at full throttle, but generally, vibration noise will be the least of your concerns at that point. If you fancy changing out the colors of the corners, you can hit up Corsair for a different set, available in black, blue, red and yellow. When it comes to hooking the fans up with power, the ML fans run off a 4-pin PWM connector. For case fans, that’s not entirely common, as quite a few stick to 3-pin with voltage control. I will warn you, these ML fans really do need the PWM support to be effective. Plugging the fans into a standard 3-pin header will result in the fan spinning at full RPM, which in all honesty, is quite loud. Corsair has both the ML120 and ML140 fans rated to 37dB at 2400 and 2000 RPM respectively, although with the rest of the system running, you can probably expect them to be louder. While the ML fans can work with voltage control over 3-pin, it’s not optimal. With our motherboard using voltage control, the fan would constantly shift RPM, rarely holding steady, which became rather distracting as the fan sped up and slowed down every few seconds (This may also be a problem with the motherboard, rather than the fan). The other issue was a much higher minimum RPM, as the fans would fluctuate a lot around 800-1000RPM, revving up and down constantly. Connecting the fans to a proper 4-pin PWM header nets the best results, allowing full RPM control and steady speeds. The ML PROs have an RPM range of 400-2000, which is very broad indeed. So if you are after quiet fans, but want the assurance of a cool system when things get hot, then these fans can definitely cater to that. With the motherboard set to 20% on the PWM header, the fans quite happily sit at around 450 RPM, remaining pretty much silent. As the ML120 fans ramp up to about 1400 RPM, this appears to be the sweet-spot for performance vs. noise, as the ML fans become audible but not distracting, while at the same time pushing a fair amount of air. The ML140s perform best in the 1100-1200 range. The most pleasing part was a lack of ‘whine’ from the bearing. When pushing the fans to their max, then they do become rather loud. Corsair states the ML140 fans go up to 2000 RPM, while the ML120 fans can hit 2400 RPM. The ML140s are slightly louder, despite the slower speed, at least with how they were mounted in our system. When it comes to longevity, that’s not something that can be tested over a few short weeks. Only time will be able to tell whether these magnetic bearings will hold up. The more immediate bonus is the reduction in noise when the fans are running in the 1000-1500 RPM range, it’s just you will need real PWM control to keep them steady. While our sound meter gear is not great, I can give some baselines and expectations for the environment. Without the PC running, the office holds at a reasonably quiet 36-38dB. With the system turned on and two ML120 fans at 450RPM, noise increases to 40dB measured at 1m. It’s worth noting the PSU and GPU fans are contributing to this baseline. With the ML fans set to 50%, or about 1400RPM, environment noise holds at roughly 42-43dB. For tripling the fan speed and only getting a 3dB increase is quite impressive. 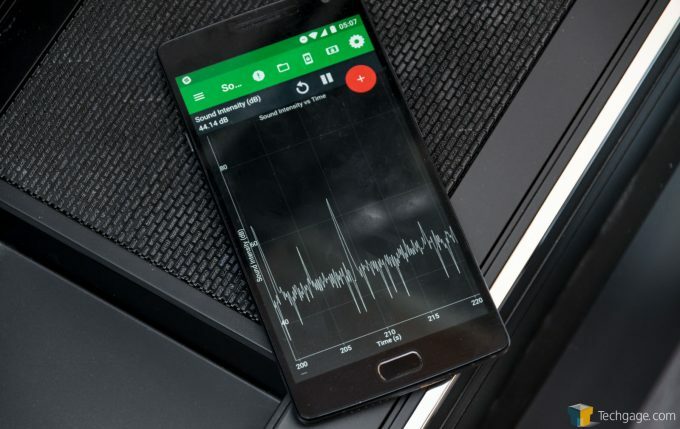 However, when the ML120 fans are set to 100%, or 2400 RPM, then environment noise spikes to 51dB, which matches the GPU fan at full speed in terms of noise. There is no getting around the fact that Corsair has priced the entire ML series quite high, even as far as premium fans go. A single ML120 PRO without LEDs will set you back $24.99 per fan. The LED versions can add another few dollars on top, depending on color and availability. If you forgo the rubber mounts, then you can get the twin-pack non-pro ML120 fans for $32.99, which puts them at $16.50 each, a much better deal and puts them more in-line with other premium fans. The rubber mounts are not essential if you keep the fans in the 1000 RPM range. The ML140 PRO fans are similarly priced from $24.99-$34.99, with a notable difference being the non-PRO twin pack costing $39.99 instead. 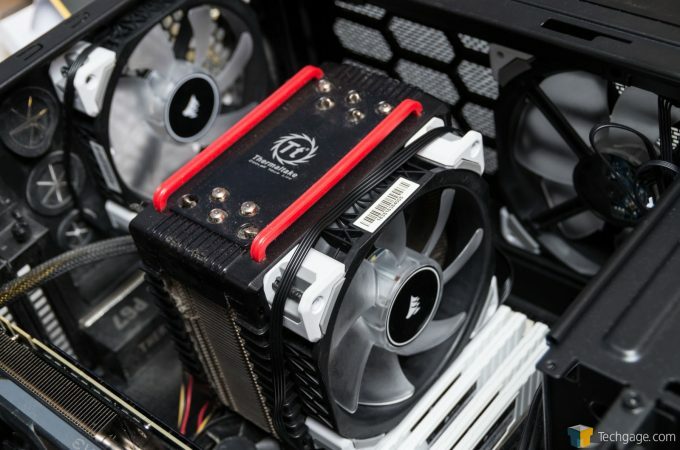 One thing to consider as well between the ML120 and ML140 is the higher static pressure on the ML120, so if you plan to use these fans for water cooling, go with the ML120 versions on radiators, and keep the ML140s for case fans and exhaust. If you plan to use a couple of these fans, make sure you have enough 4-pin PWM headers on your motherboard, or if you only have a single PWM header, get a 4-pin splitter or port multiplier, so that you can control them all correctly. Recommending these fans comes down to a couple points. If price isn’t an issue, and you are planning to use these fans in the long term and across multiple systems over the years, then the higher up-front cost makes them worth it in the long run. The 5-year warranty helps put some confidence in these fans as well, especially since there is no bearing to break down. If you are looking to run a quiet system, you can certainly find cheaper fans that will near enough match the performance of these ML fans, likely with fluid bearings too. The advantage with the ML fans though, is that they can ramp up to match a performance fan, while still renaming fairly quiet. In theory, the sound profile shouldn’t change over time either, unlike ball-bearing types which can start to rattle or wurr after a couple years. Ultimately, with the shear variety of fans on the market, it’s a tough call. However, from what I’ve seen, Corsair has come up with a fan that’ll be suitable for long-term systems or frequent upgraders. If you do purchase them, you certainly won’t be disappointed and worth our Editor’s Choice, just make sure they’re paired with a PWM controller.